Are you surrounded by pumpkins of all shapes and sizes? Can you see a heard of cattle grazing in an open pasture? Are your taste buds tingling for a scoop of Bart's Homemade Ice Cream? You must be at the The Farm Store at Willow Brooks Farms - Welcome! 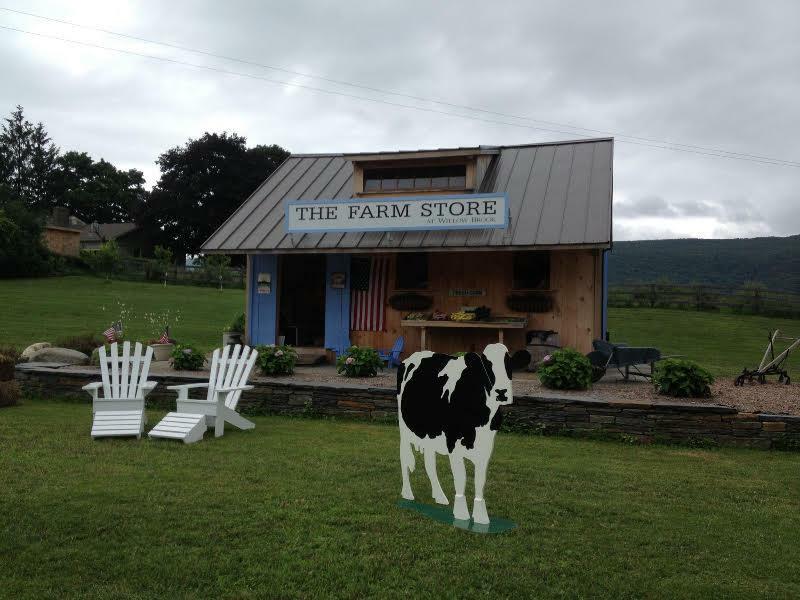 All the benefits of 450 acre family owned dairy farm in one cozy, colorful roadside shop. with superior quality dairy, non-GMO sweetcorn, and humanely raised meat. 100 calfs were born last year at Willow Brook Farm, and you can put your own personal stamp on the Benekes' family acres by naming a newborn calf. Proven to be a very popular game that draws participation from friends and visitors young and old, naming the calf is a competition in creativity. The first letter of the newborn’s name must correspond with the same first letter their mother’s name. You may think you know a lot of cow names starting with “M”, but the sign up sheet fills up fast, and when Millie, Moo Moo, Maggie, Molly, Margie, Maddie, Marigold, Mabel, Maisy, Meryl, Mildred, Myrtle, Mirabelle and Marilyn Monroe are all taken, you be left scratching your head. But if you think fast and divine, bovine inspiration strikes, you could be the winner - and walk away with a prize. On Easter day, April 16th, Willow Brook's own cow Easter serendipitously went into labor and gave birth to a girl. A new calf needs a new name, so we're looking for an "E" name for Easter's offspring. Join artist and Dover Central School art teacher Casey Koerner Swift for a relaxing session of paint n' sip on the farm. Grab your friends, open a bottle of wine in the open country air, and let your creativity flow as Casey guides the group, step by step in easily creating your own work of art. 5... 4... 3... 2... Summertime means a big summer barbecues, and nothing goes better with meat on the grill than fresh farm corn. Countdown with us until the day the first batch from Kenneth’s 10 acres of sweetcorn are ready to be sold. A customer crowd pleaser, the stalks may be plentiful, but this product is definitely in high demand. Grab it when you see it! Past Event: Nancy Fuller of "Farmhouse Rules"
Food Network star Nancy Fuller stopped by The Farm Store last summer to autograph copies of her new cookbook, "Farmhouse Rules: Simple Seasonal Meals for the Whole Family" titled after her cozy culinary show set in her Hudson Valley kitchen.